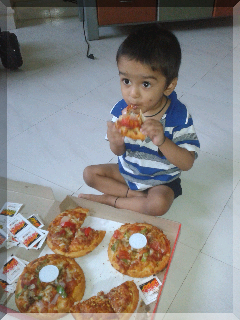 Aarav's journey to hearing......: Pizza day!!! 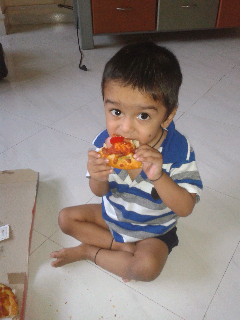 Today Aarav is 1 year and 6 months old !!! We celebrated his half birthday with pizza!! 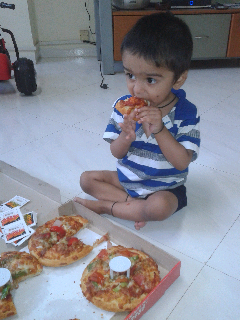 Aarav had his first pizza today and he loved it!! !